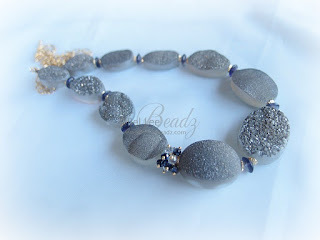 Silvery grey drusy or druzy ovals separated by smooth iolite (dark blue sapphire colour)wheels and a little cluster of mystic spinel and crystals. Measuring almost 28", 2 arms of goldfilled chain links bring the necklace to be fastened at the back by a toggle. 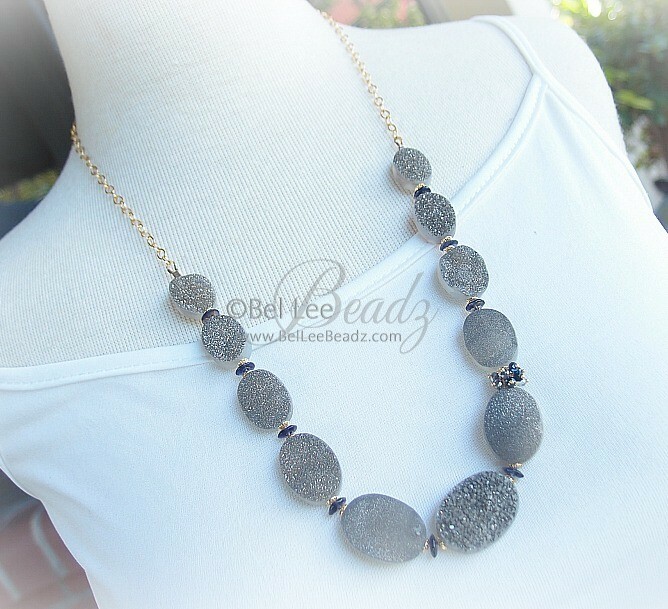 Drusy/druzy are a thin layer of crystals that form on rock/host cracks or surfaces. Most of those available in the market are enhanced, as I'm sure these are because at close range the sparkle on these ovals are quite lovely, alternating between silver and gold specks.